Recommended citation: Guntaka RV. Article Title New Insights to Prevent Liver Fibrosis by Targeting YB-1 and Collagen Genes. OBM Hepatol Gastroenterol 2019;3(1):14; doi:10.21926/obm.hg.1901014. Liver fibrosis leading to cirrhosis and cancer affects millions of people and causes thousands of deaths all over the world. Many signaling pathways could be targeted to block fibrosis but these are not successful. Reviewing recent literature and from our own studies we identified novel target, such as YB-1, which is implicated in inflammation, angiogenesis and accumulation of extracellular matrix (ECM). In addition we observed and showed that the end product of fibrosis, collagen gene, itself is a direct target for controlling fibrosis. We developed triplex-forming oligonucleotides which specifically form triplexes with the promoter of type I procollagen gene and effectively inhibited collagen accumulation and improved liver function. In this review we briefly described the potential of YB-1 and Collagen genes as excellent targets. Liver fibrosis leading to cirrhosis affects millions of people and causes thousands of deaths each year with costs exceeding billions of dollars. Cirrhosis is a late stage of scarring most commonly caused by hepatitis C and B infections, alcohol and non-alcoholic fatty liver disease. The prevalence of cirrhosis is about 0.27 percent in the USA, corresponding to about 600,000 adults with an annual mortality of about 30,000 people . Organ fibrosis is a progressive pathologic process resulting in accumulation of excess extracellular matrix responsible for causing distortion of liver structure and loss of organ function. Activated hepatic stellate cells (HSCs), Hepatic Progenitor Cells (HPCs) and Portal Myofibroblasts (MFBs) are the major profibrogenic cells that exclusively produce almost all the procollagen [2,3,4]. Many growth factors such as transforming growth factor-β1 (TGF-β1), platelet-derived growth factor (PDGF) play a major role in ECM homeostasis [4,5,6,7,8]. Several antifibrotic molecules targeting these profibrotic signaling pathways are in var­­­ious stages of clinical trials but none has been approved yet [8,9,10,11,12]. Recently nucleic acid therapeutics are gaining prominence to control various diseases in humans [13,14,15,16]. Gene-specific triplex-forming oligonucleotides are used to modulate gene function [17,18,19,20]. Type I collagen is the major structural protein of the ECM and interacts with many components including integrins and fibronectin. It consists of two α1(I) and one α2(I) polypeptide chains, synthesized in a 2:1 ratio and secreted into ECM. Blocking synthesis of either of these chains results in drastic alteration in the formation and secretion of procollagen [21,22]. Cis-acting elements within the 200 bp promoter sequence upstream from the transcription start site are crucial for transcription initiation and regulation and hence make this regulatory element an ideal target for developing antigene (targeting the gene)-based antifibrotic therapeutics [23,24]. Recently another molecule called Y-box binding protein 1, YB-1, came into focus. This has been shown to be involved in a large number of cellular functions including cell proliferation and migration and transcriptional as well as translational control [25,26,27]. Several reports documented its pivotal role in inflammation, angiogenesis and fibrosis in different organs by modulating the function of various growth factors including VEGF and PDGF, by regulating several cytokines and chemokines, and by directly acting on the regulation of collagen genes [25,27,28,29,30,31,32]. Most importantly, its role in fibrosis has been shown to be mediated by positive and negative regulation of collagen genes, depending on the concentration and intracellular localization of YB-1 [33,34,35]. YB-1 belongs to the highly conserved cold shock family of nucleic acid-binding proteins. This multi-functional protein is remarkable in that its deletion is embryonic lethal and mutations in this gene are not tolerated. 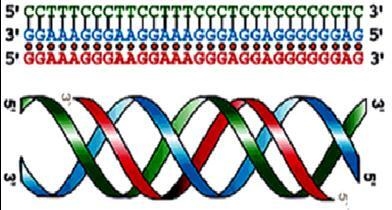 Even in a vast number of cancers, only a few mutations are reported, most of which are silent. Another remarkable feature of YB-1 is that it plays a major role as a regulator in several cellular processes including cell proliferation and migration, DNA repair, transcription and splicing of pre-mRNA and translation of mRNA, in inflammation, redox and other key signaling pathways, as well as in cell migration and metastasis of cancer cells [26,27,36]. YB-1 binds to splice sites in pre-mRNA and regulates selection of splice sites; it also binds and stabilizes mRNA. It modulates the interaction between the mRNA and eukaryotic initiation factors. Additional functions attributed to YB-1 include packaging, stability and transport of mRNA and cytoskeletal proteins . YB-1 has also been implicated in inducing drug resistance in various cancers and down-regulation of YB-1 renders the tumors drug-sensitive . In general, the levels of YB-1 are low in quiescent cells and adult tissues but are highly elevated in various tissues with increased rates of cell proliferation (reviewed in ). YB-1 is up-regulated in embryonic tissues and in many types of cancers and also during wound healing. It is predominantly a cytoplasmic protein and shuttles into nucleus during cell cycle. YB-1 interacts with α-smooth muscle actin (SMαA), β-actin and promotes microtubule assembly and thus plays a direct role in cell migration . Conclusive proof for a vital role for YB-1 in cell proliferation came from two sets of experiments. First, targeted disruption of one allele of YB-1 gene in DT40 cells resulted in cell cycle defects in the G2 phase of cell cycle . Second, YB-1 knockout mice are embryonic lethal as the embryos survive only through day 13 of embryogenesis and fibroblasts derived from these embryos grow slowly . Structural Organization of YB-1: YB-1 consists of 3 domains - the amino terminal proline-alanine-rich domain (55 amino acids; purple), the DNA and RNA binding Cold Shock Domain (CSD of ~70 amino acids, green) and the C-terminal end charge zipper domain with alternating clusters of positive and negative charges (~200 amino acids, pink and light blue) (Figure 1). The amino- (purple box) and carboxyl-terminal domains interact with several genes including tumor suppressor genes p53, Rb and the cell cycle protein cyclin D1 (see Figure 1) [40,41]. Figure 1 Diagram illustrating the domains of YB-1 and key cellular proteins that interact with YB-1. Down-regulation of YB-1 expression with siRNA or by gene knockout techniques inhibited both cell invasion and migration and also matrix collagenases [39,42]. The C-terminal domain inhibits proliferation, angiogenesis and tumorigenicity of breast cancer . YB-1 is a potent trans activator of matrix metalloproteinase-2 (MMP-2) gene (Mertens et al 1997). Uchiumi el al  showed a dramatically reduced rate of cell migration and decreased levels of β-actin expression and F-actin formation in the YB-1(-/-) embryonic fibroblasts, suggesting an important role for YB-1 in regulating the contractile machinery of the cell. Many of the cellular events that are involved in inflammation, fibrotic and antifibrotic effects of YB-1, its role in cell proliferation and migration and accumulation of ECM are schematically shown in Figure 2. 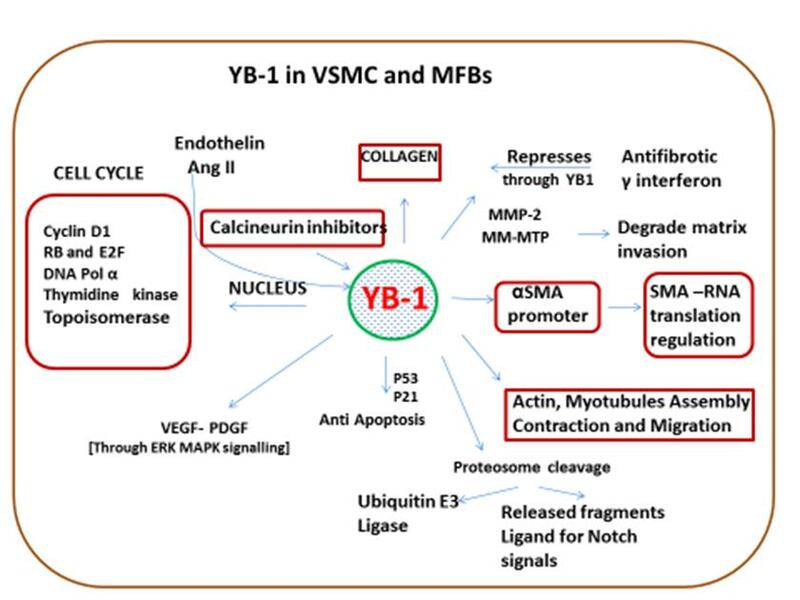 Figure 2 YB-1 plays a central role in various cellular processes in vascular smooth muscle cells (VSMC) and myofibroblasts (MFB), which range from transcription to translation, DNA repair, cellular proliferation and migration, angiogenesis through VEGF and various signaling pathways and in organ fibrosis. In addition it has been shown to have a direct role in inflammation. Inflammation, ECM accumulation, Angiogenesis are critical for fibrosis [4,44,45,46]. A common denominator for several of these events is YB-1, which regulates several inflammation-associated proteins . These include PDGF , VEGF , IL-2 , IL-10  GM-CSF , TGF-β , CCL5 and CXCR [28,29]. Inflammatory cells and endothelial cells produce a number of cytokines, growth factors, adhesion molecules and chemo-attractant proteins, including PDGF, TGF-β1, IL-1, angiotensin II, endothelins. YB-1 is a downstream target of PDGF-BB [29,49,52], Interferon-γ , and a transcriptional regulator of CCL5 expression in atherosclerosis [29,53]. YB-1 participates in various signaling circuits in auto-regulatory activities implicated in renal fibrosis . It is also interesting to note that a fragment of YB-1, secreted by immune cells, acts as a ligand for Notch-3 receptor, which is implicated in epithelial-mesenchymal transition (EMT), which appears to play a major role in liver fibrosis leading to cirrhosis and cancer [25,40]. Post-translational modification by phosphorylation of YB-1 at Ser102 has been demonstrated during LPS-induced early stages of inflammation but not during the late phase of inflammation . LPS-induced mortality of mice is also orchestrated through YB-1, as the knockout of one allele (heterozygous) reduced mortality by 50% . Inflammatory cell infiltration of kidney inflammation and fibrosis is also mediated by YB-1 , In many other cases also inflammatory cells express high levels of YB-1 in CD-68 positive monocytes/macrophages. Further, the secreted YB-1 acts as a mitogen stimulating cell proliferation and their migration during inflammation . In human monocytes YB-1 is transiently up-regulated during monocyte/macrophage differentiation and played a pivotal role in CCL5/RANTES gene transcription in atherosclerosis . YB-1 phosphorylation of Ser-102 by Akt pathway increases its binding affinity and activates the chemokine CCL5, which permits monocytes to infiltrate the tissue where they differentiate into macrophages . YB-1 also has the potential to initiate and later to ablate the inflammation process by regulating CCL5 expression . Dephosphorylation of YB-1 by the calcium-dependent calcineurin (protein phosphatase 2B) of the phosphor-Ser-102 represses expression of CCL5 and also results in macrophage differentiation. In model of kidney injury, YB-1-deficient macrophages display reduced cell proliferation and nitric oxide production and failure to upregulate IL-10 and CCL5 expression in response to inflammatory stimuli [29,32]. Further, evidence suggests that YB-1 plays a major role in the early stage of inflammation probably in storing the transcripts in Stress Granules (SG) or in mRNP aggregates (P-bodies) with proteins involved in mRNA decay and translational repression and make them readily available for translation without going through a laborious energy-dependent transcription of several RNAs [56,57,58]. We hypothesize that YB-1 by virtue of it’s binding to various cytokines or growth factor mRNAs regulates their translation in monocytes/macrophages. Bacterial cell wall mucopeptides, muramyl dipeptide and glucosaminyl peptides, are potent activators of innate immunity, which is mediated by complexes formed by YB-1 and NOD2 . Recent evidence also indicates that angiogenesis plays a pivotal role in cancer and fibrosis and that YB-1 also plays a direct role by interacting with angiogenic factors like VEGF-A and its receptor, PDGF-β and its receptor, signaling through ERK/Akt as well as through Bcl-xL-VEGFR2-Tie axes . It also promotes liver fibrosis by interacting with Smad2 . YB-1 directly regulates Type I Collagen via PDGFR-bERK/p90RSK signaling pathways in hepatic progenitor cells  by binding to a number of genes including cyclin D1 and EGF Receptor [41,62]. Earlier it has been shown that p90RSK phosphorylates YB-1 at ser102 leading to its translocation into nucleus . This phosphorylation could be inhibited by luteolin, a plant flavonoid which in turn inhibits myofibroblast proliferation and migration (unpublished results of Guntaka lab). Phosphorylated YB-1 can also mediate collagen gene transcription by interfering with TGF-β-responsive element in the promoter of collagen 1 . Oxymarine is another plant alkaloid, which can inhibit pro-collagen I expression in hepatic stellate cells by blocking the translocation of phosphorylated YB-1, suggesting that the phosphorylated YB-1 in nucleus plays a major role in the transcription of collagen genes and hence fibrosis . YB-1 is a potent trans-activator of matrix metalloproteinase-2 (MMP-2) gene [31,65] and the inhibitory effect of YB-1 on cell invasion and migration could be suppressed by down-regulating the expression of MMP-2 [39,65,66]. Uchiumi el al showed a dramatically reduced rate of cell migration and decreased levels of β-actin expression and F-actin formation in the YB-1(-/-) embryonic fibroblasts, suggesting an important role for YB-1 in regulating the contractile machinery of the cell . YB-1 also plays a major role in i) transcriptional activation of smooth muscle cell α-actin gene ; ii) promoting microtubule assembly through interactions with actin, tubulin and microtubules  and iii) enhancing mRNA stability and intracellular transport [37,68], all these processes are important in fibrogenic response carried out by myofibroblast-like hepatic stellate cells during liver fibrosis. A. Flavonoids: It is extremely interesting to note that several inhibitors that inhibit YB-1 or its phosphorylation are very effective in preventing fibrosis and collagen synthesis. Examples include oxymatrine and luteolin both of which belong to the plant alkaloids/flavonoid family of chemicals [69,70] and locked antisense oligonucleotides. Oxymatrine is the active ingredient in the dried root of Sophora flavescens and is widely used for liver fibrosis in China [64,71,72]. This anti-fibrotic effect of oxymatrine appears to have been mediated by suppressing collagen gene transcription through translocation of the phosphorylated form of YB-1 from cytoplasm to nucleus, which is abrogated by siRNA to YB-1 . YB-1 also negatively regulates the expression of collagen in hepatic progenitor cells by down-regulating transcription of PDGFR-β . Most of the antifibrotic compounds targeting specific signaling pathways are not effective. Luteolin is a flavonoid, commonly found in many plants, appears to possess effective anti-inflammatory and anfibrotic properties . It inhibits inflammatory cytokine (IL-1β, IL-6, IL-8, TNF-α) production . Using rat myofibroblasts and rat hepatoma cells, we demonstrated that YB-1 directly plays a major role in cell proliferation and migration. Further we showed that blocking RSK mediated phosphorylation of YB-1 inhibited proliferation and migration. Luteolin is also very effective in inhibiting cell proliferation, migration and collagen synthesis in hepatic stellate cell by inhibiting PDGF and TGF-B1-stimulated phosphorylation of Akt and Smad pathways . Interestingly both Akt and RSK phosphorylate YB-1 at its serine102 site in the CSD and activates several genes involved in migration and proliferation of myofibroblasts, and luteolin inhibits these effects by blocking this phosphorylation step . B. Oligonucleotide Therapies: Several anti-fibrotic molecules targeting these profibrotic signaling pathways are in various stages of clinical trials but none has been approved yet [8,9,10,11,12]. Recently nucleic acid therapeutics are gaining prominence to control various diseases in humans [14,15,74]. Gene-specific triplex-forming oligonucleotides are used to modulate gene function [17,18,19,75]. Antisense oligodeoxyribonucleotides (ASOs) and small interfering RNA (siRNA) drugs can be used to specifically downregulate genes involved in various diseases and in fibrotic conditions. Originally introduced by Zamecnik and colleagues  about four decades ago, now these are being extensively investigated as therapeutics. Progress in this area was hampered by the lack of proper delivery methods to target tissues, stability of the oligonucleotides, and rapid degradation by nucleases, toxicity and off-target effects . However, many of these drawbacks were overcome by developing modified ASOs such as phosphorothioate, 2’-O-methoxy or 2’-methoxyethyl groups and locked nucleic acids [13,16,74,77]. It is pleasing to see that several of these have been approved by the Food and Drug Administration in the last 3 to 4 years and currently more than 100 ASOs or siRNAs are in various phases of clinical trials [13,16,74,77,79,80]. These include fomirirsen for cytomegalovirus infected retinitis, macugen for macular degeneration targeting VEGF stimulated neovascularization . Another exciting development in 2016 was nusinersen, which is an 18-mer phosphorothioate 20-O-methoxy ASO, indicated for spinal muscular atrophy . Among the siRNA drugs, the first one (patisirin) was approved in 2018 for a liver disease TTD (transthyretin amyloidosis .Thus there is an enormous potential for the ASOs and siRNA drugs in the future. Regardless of which mechanism is operative in inducing organ fibrosis, the end result is upregulation of type I and III collagen genes. In the initial stages of fibrosis, type III is more prevalent which is replaced by Type I Collagen and other ECM components in the final stages of fibrosis. In liver this leads to cirrhosis which compromises function of liver. Therefore, targeting this last step in the fibrosis pathway should be effective in preventing organ fibrosis. We have developed and applied such a strategy to prevent liver fibrosis in a dimethylnitrosamine-induced rat liver fibrosis model . Type I collagen is the major structural protein of the ECM and interacts with many components including integrins and fibronectin. It consists of two α1(I) and one α2(I) polypeptide chains, synthesized in a 2:1 ratio and secreted into ECM. Blocking synthesis of either of these chains results in drastic alteration in the formation and secretion of procollagen 63, ). Cis-acting elements within the 200 bp promoter sequence upstream from the transcription start site (Figure 3A) are crucial for transcription initiation and regulation and several transcription factors bind to these elements in the promoter and modulate gene expression. 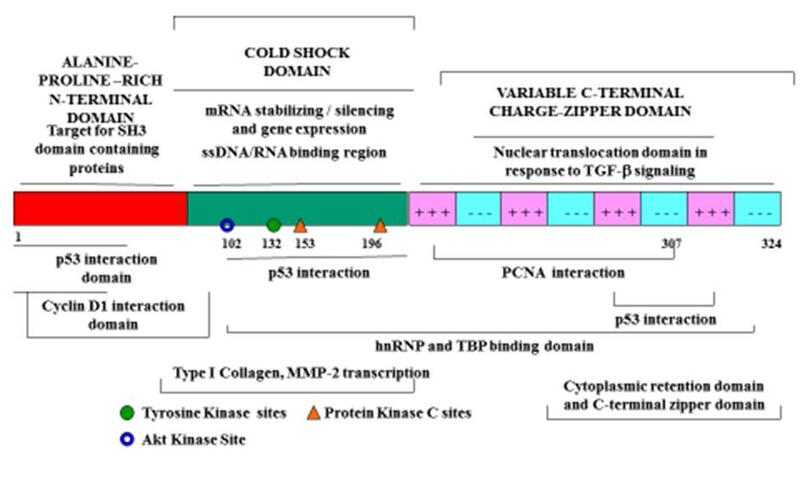 We have done extensive analysis on the polypurine/polypyrimidine tract located at -140 to -170, from the transcription start site (see Figure 3A) and demonstrated that it plays a crucial role in transcription of α1(I) collagen gene. Figure 3A Nucleotide sequence of Rat COLIA1 collagen gene promoter. C-1 and C-2 regions are underlined. The sequence also shows the TATA box (shaded) and the inverted CCAAT boxes (I-CAT, underlined). The +1 indicates the transcription start site (TSS) and the negative numbers indicate the upstream sequences. The 30-mer and 18-mer TFOs corresponding to the C-1 region is also shown (boxed). We have carried out extensive analysis on the pharmacokinetics of the TFOs, their nuclear uptake and formation of triplexes with native COL1A1 promoter (Figure 3B) [81,82] in human hepatic stellate cells. The TFOs inhibited liver fibrosis induced in rats by dimethylnitrosamine, as evidenced by a reduction in collagen accumulation and improvement in liver function (Figure 3C) . Now we are planning to conduct preclinical trials with these TFOs. We are the first group to successfully apply this antigene (targeting collagen gene promoter) strategy to prevent liver fibrosis in a rat model . This antigene strategy can be extrapolated to humans because the human COL1A1 promoter (C1 sequence) differs from rodent C1 sequence in a few critical nucleotides which make the human collagen TFO much more efficient in triplex formation (Kd ~10 to 20nM compared to the rodent with a Kd ~100 to 200nM) . Figure 3B Triplex formation by intermolecular TFOs: The target duplex DNA sequence present at −170 to −140 in the promoter region of α1(I) collagen gene is shown above the triplex. The polypyrimidine strand (Y) is shown in green and the complementary polypurine strand is shown in blue. Polarity of each strand is indicated as 5’-3’. Antiparallel polypurine (R) strand, which binds to the major groove of the target DNA is indicated in red. The resulting triplex structure (Y:R:R) is illustrated in the line drawing in the middle. Figure 3C Effect of 158TFO (10 mg/kg body weight) on collagen accumulation in rat livers. Rats were injected with TFO alone or DMN+158TFO (4 mg/kg or 10/mg/kg) and the 164TFO (10 mg/kg), and sacrificed on the 28th day. (A) Livers were excised on day 28 and analyzed for collagen content by the hydroxyproline assay. Liver weight-to-body weight ratio (LW/BW) multiplied by 100 (A) is plotted against different treatments. 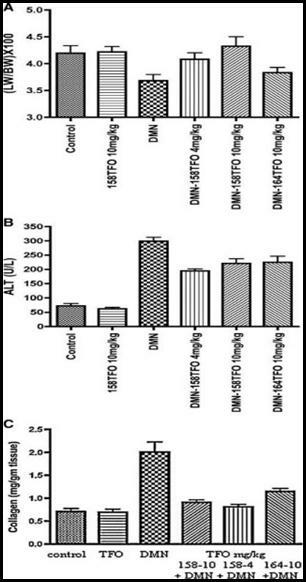 (B) Alanine aminotransferase (ALT) levels of rats treated with different TFOs. (C) Note that the liver-to-body ratio drastically reduced in DMN-treated rats but not in those treated with 158TFO alone. Also note that the TFO alone has no effect on liver weight/body weight ratio or on ALT levels. The TFO 158TFO at both 4 mg/kg and 10 mg/kg significantly improved liver weights (P<05) and reduced ALT levels as well as collagen accumulation. The LW/BW ratio of rats treated with 164TFO, although showing improvement, appears not statistically significant compared with DMN alon (Figure taken from ref ). Tissue inhibitors of matrix metalloproteinases (TIMPS), which inhibit matrix metalloproteinases (MMPs), play a crucial role in the resolution of fibrosis . TIMPs also have biological activities that are independent of metalloproteinases including cell growth and differentiation. Timp-1 is profibrogenic and anti-apoptotic to HSCs and type I collagen is also a strong survival factor for HSC . TFO sequences are also localized in the regulatory region and introns of Timp1. We synthesized these TFOs and tested their effect on TIMP expression. Like collagen gene TFOs, Timp1-specific TFOs also inhibited expression of TIMP. As a result MMP-2 is activated causing degradation of ECM (Guntaka, unpublished results. Thus, a combination of both collagen and TIMP TFOs should resolve fibrosis very effectively. These experiments are in progress. In summary, ASO, TFOs and siRNAs are the drugs of choice in the coming years for treating various metabolic diseases including organ fibrosis. At present the cost of these drugs is prohibitively expensive. However, in due course of time, synthetic modified oligonucleotides can be scaled up to large amounts, which should reduce costs. Many postdoctoral fellows and research assistants contributed to the work carried out in Guntaka’s laboratory. Ramareddy V Guntaka is sole author of this work. Recently I am supported by Sudershan Biotech Pvt Ltd, Hyderabad, India (R073018207). Earlier work in the author’s laboratory was supported by various NIH grants. Li F, Ma Z, Liu H, Zhang Q, Cai X, Qu Y, et al. Y-box Protein-1 regulates the expression of Collagen I in Hepatic Progenitor Cells via PDGFR-β/ERK/p90RSK Signalling. Stem Cell Int. 2017; 2017. Guntaka RV, Padala MK. Interaction of hepatitis C viral proteins with cellular oncoproteins in the induction of liver cancer. ISRN Virology. 2014; 2014. Khandelwal P, Padala MK, Cox J, Guntaka RV. The N-terminal domain of y-box binding protein-1 induces cell cycle arrest in g2/m phase by binding to cyclin d1. Int J Cell Biol. 2009; 2009. Chen CY, Gherzi R, Andersen JS, Gaietta G, Jürchott K, Royer HD, et al. Nucleolin and YB-1 are required for JNK-mediated interleukin-2 mRNA stabilization during T-cell activation. Genes Dev. 2000; 14: 1236-1248.